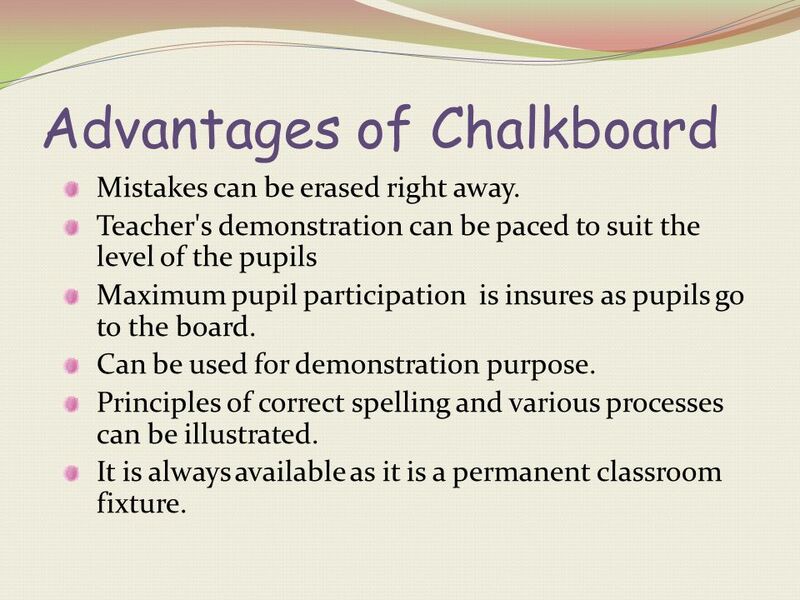 2 Chalkboard This is the most versatile medium for instruction; it is always available. 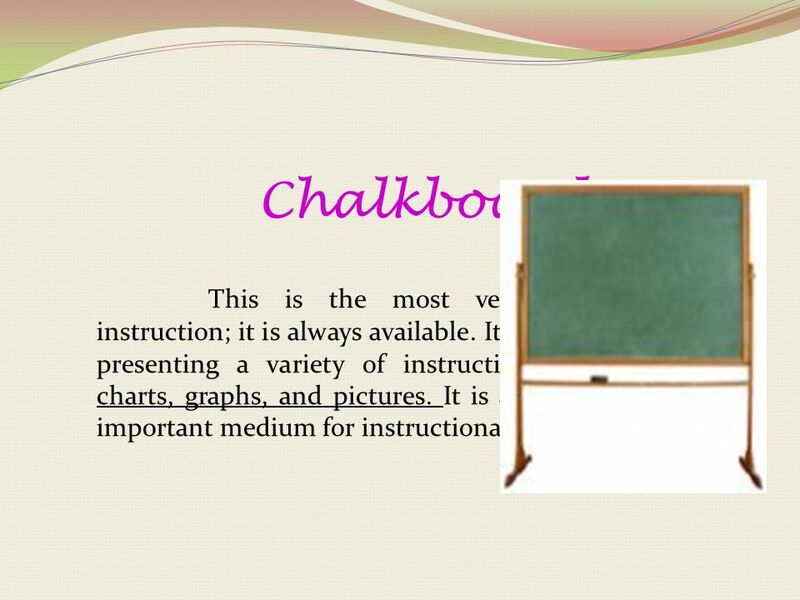 It is especially useful in presenting a variety of instructional materials like charts, graphs, and pictures. 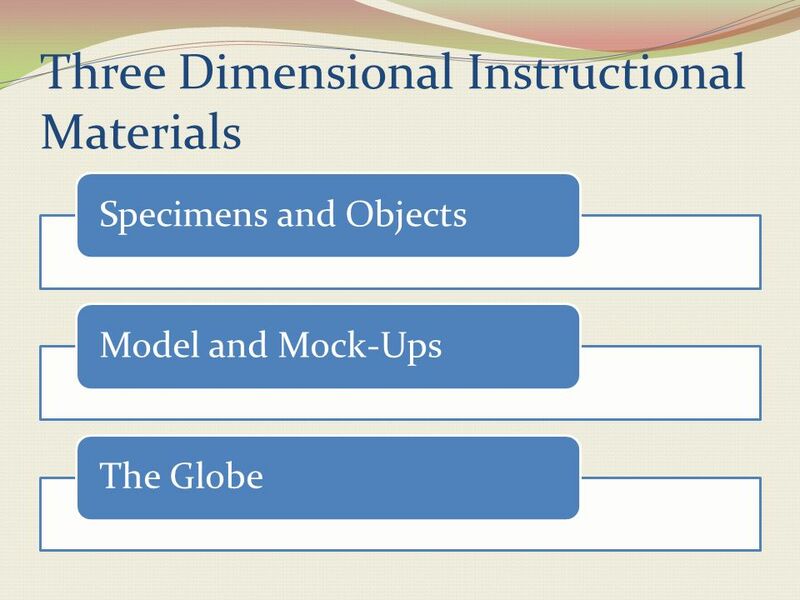 It is also considered as an important medium for instructional materials. 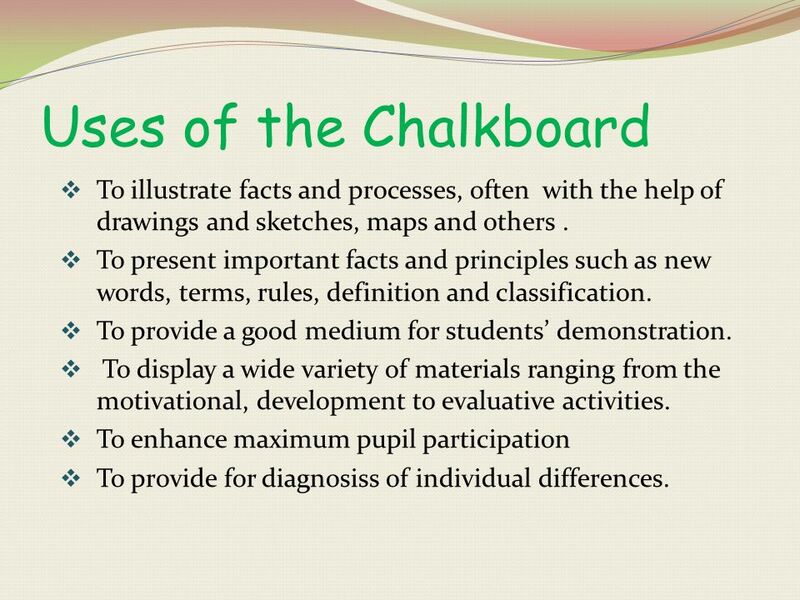 3 Uses of the Chalkboard To illustrate facts and processes, often with the help of drawings and sketches, maps and others . 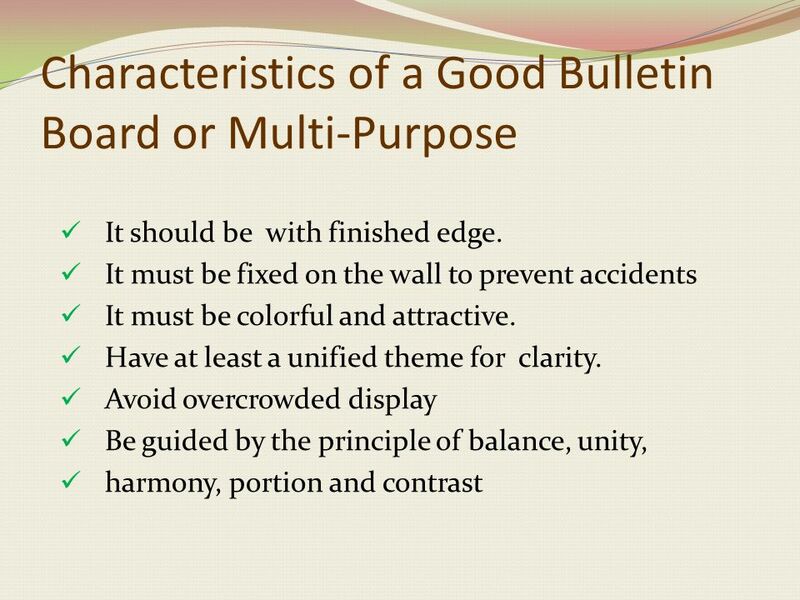 To present important facts and principles such as new words, terms, rules, definition and classification. 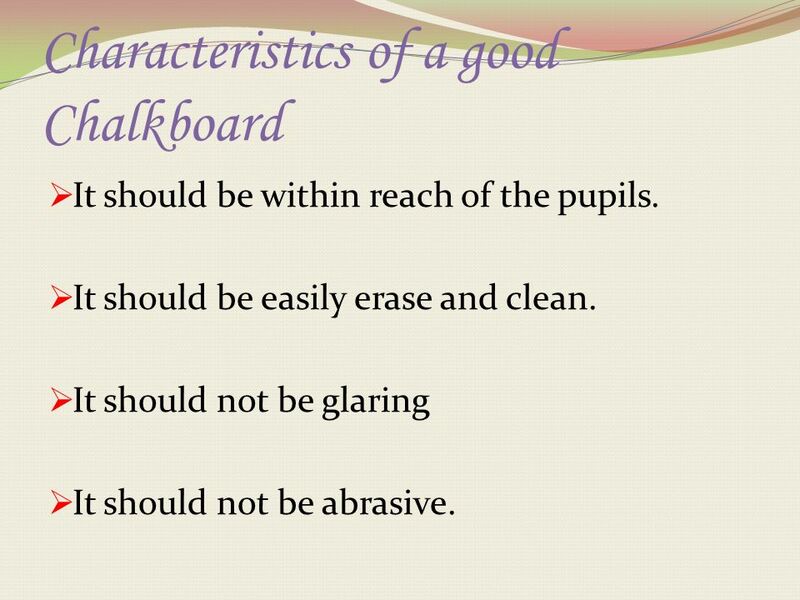 To provide a good medium for students’ demonstration. To display a wide variety of materials ranging from the motivational, development to evaluative activities. To enhance maximum pupil participation To provide for diagnosiss of individual differences. It should be within reach of the pupils. It should be easily erase and clean. It should not be glaring It should not be abrasive. Mistakes can be erased right away. Teacher's demonstration can be paced to suit the level of the pupils Maximum pupil participation is insures as pupils go to the board. Can be used for demonstration purpose. Principles of correct spelling and various processes can be illustrated. It is always available as it is a permanent classroom fixture. 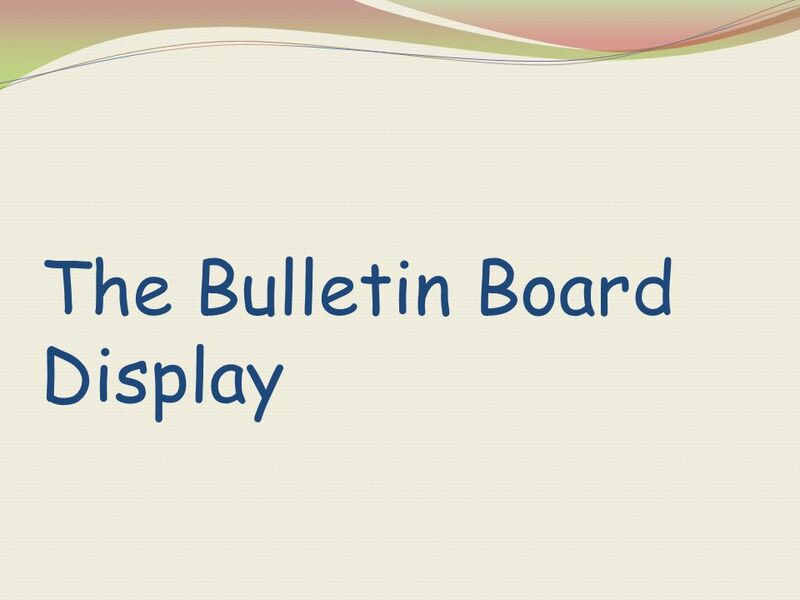 7 Bulletin board This is the medium for displaying materials, which must be cooperatively planned and put up by the teacher and her pupils or students. To approach a unit . The are used as a springboard to a new unit. To develop a unit. 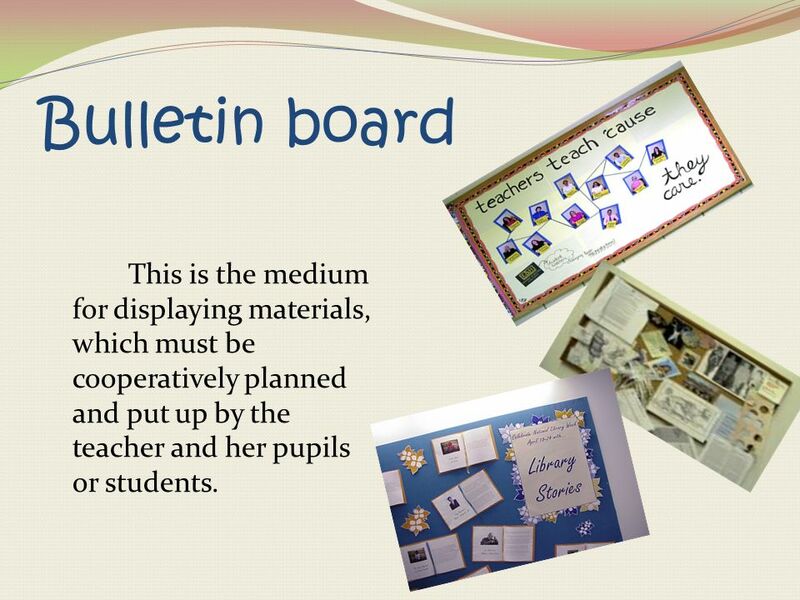 This type of display provides the pupil or students some materials for research purposes. To summarize a unit. 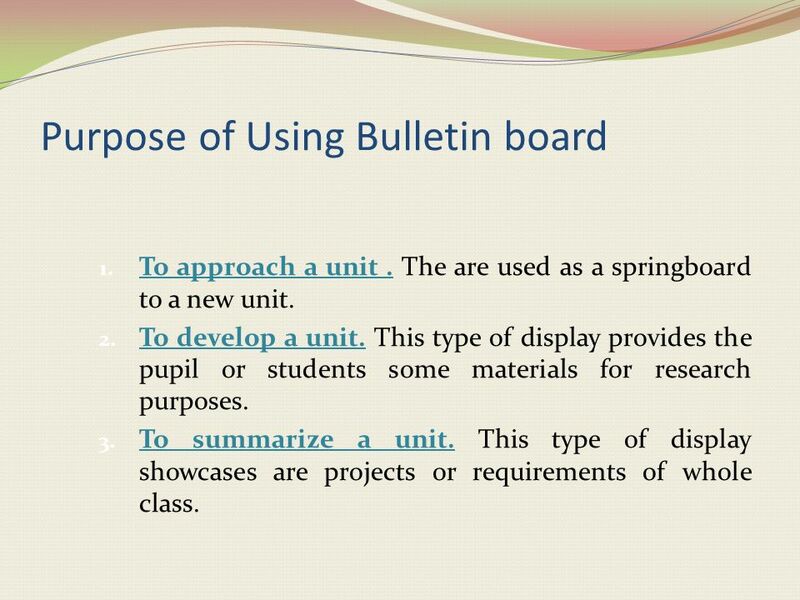 This type of display showcases are projects or requirements of whole class. 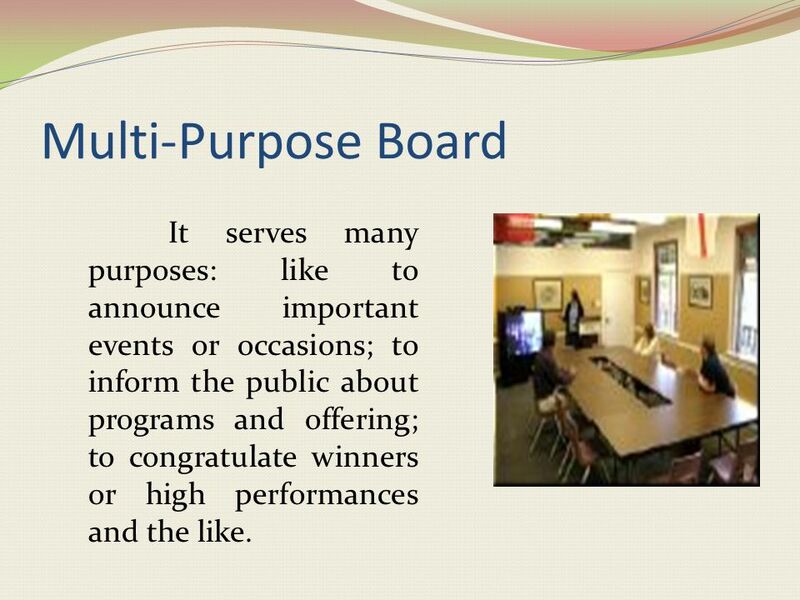 10 Multi-Purpose Board It serves many purposes: like to announce important events or occasions; to inform the public about programs and offering; to congratulate winners or high performances and the like. 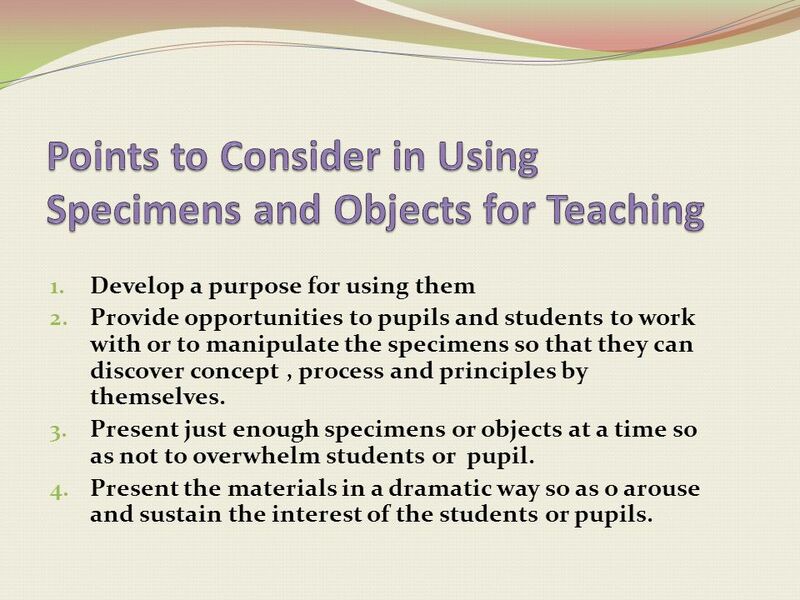 Develop a purpose for using them Provide opportunities to pupils and students to work with or to manipulate the specimens so that they can discover concept , process and principles by themselves. 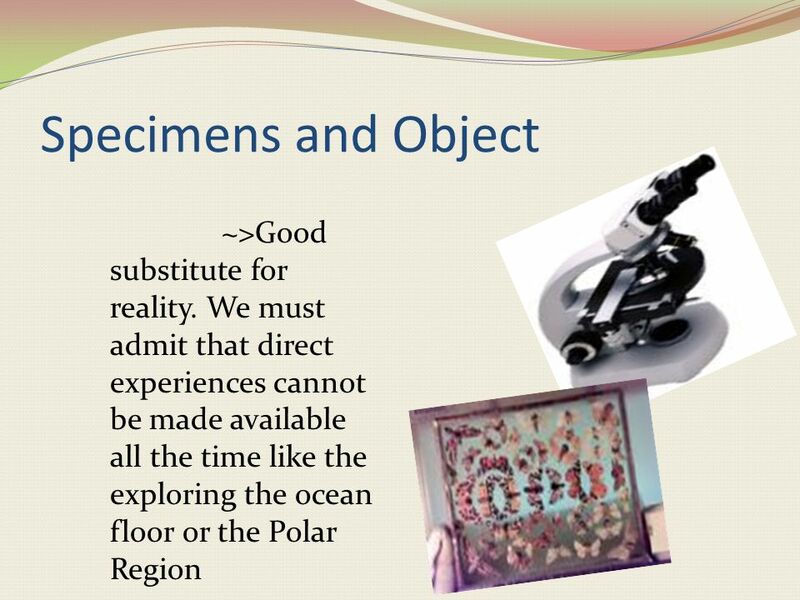 Present just enough specimens or objects at a time so as not to overwhelm students or pupil. Present the materials in a dramatic way so as o arouse and sustain the interest of the students or pupils. 15 Models and Mock-ups These are recognizable imitation of the real thing except size, which may be scaled down or scaled up to provide the needed expected experiences. 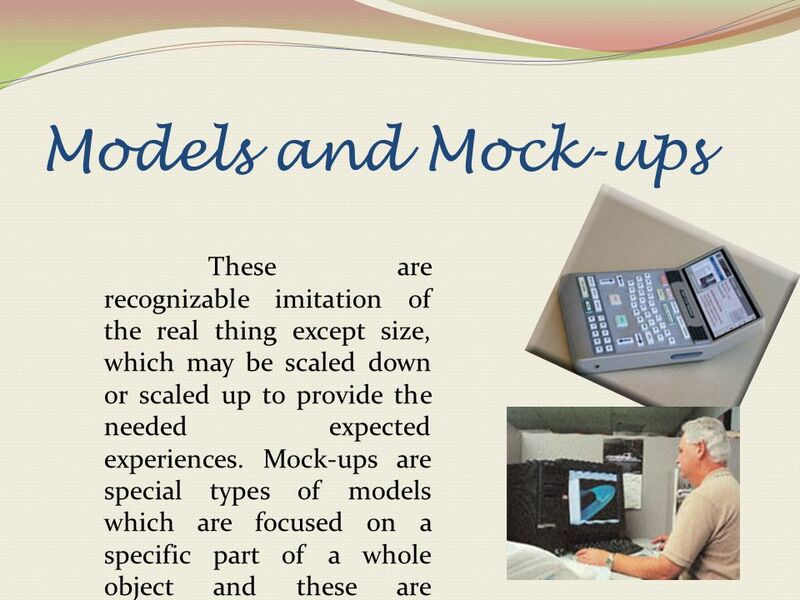 Mock-ups are special types of models which are focused on a specific part of a whole object and these are workable. 16 The Globe This is the most widely used model which the reduced version of the earth. 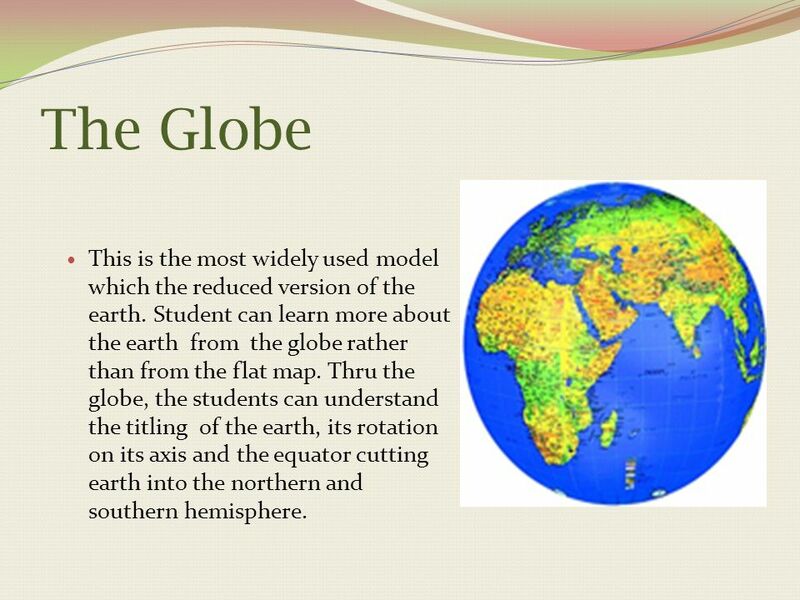 Student can learn more about the earth from the globe rather than from the flat map. Thru the globe, the students can understand the titling of the earth, its rotation on its axis and the equator cutting earth into the northern and southern hemisphere. 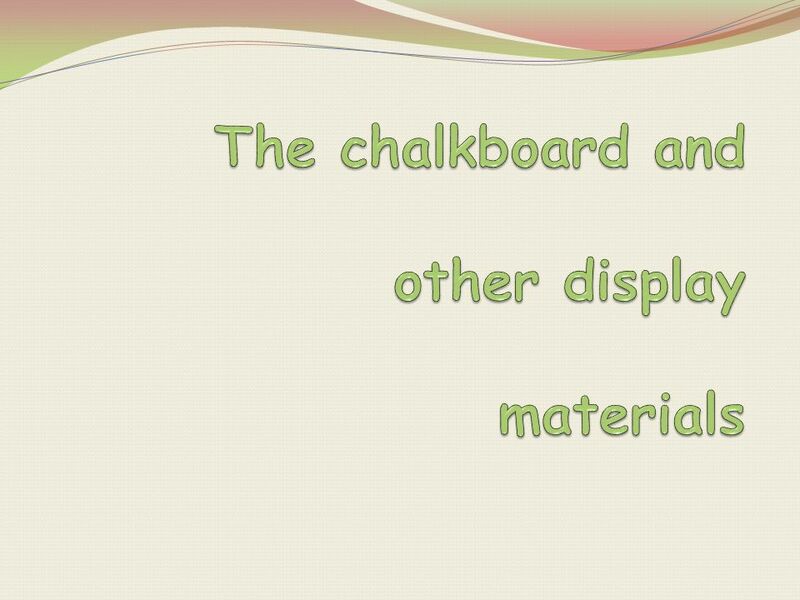 Download ppt "The chalkboard and other display materials"
1  Communicating – Speaking, Writing and Sketching – About Math! Sioux Falls, South Dakota June 7, 2011. KHS Study Groups.  What is it? 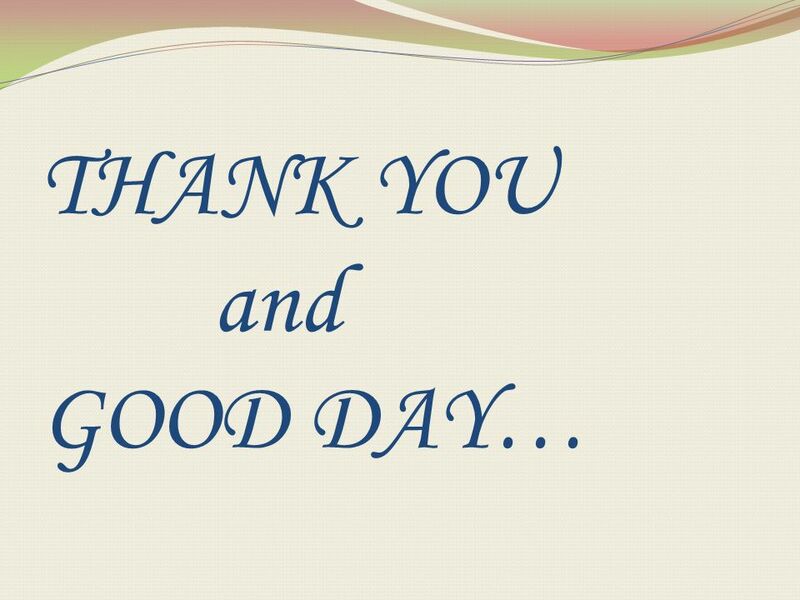  How do I plan to meet the needs of my students?  How do I group my students to reap the most benefits? Reading Graphs and Charts are more attractive and easy to understand than tables enable the reader to ‘see’ patterns in the data are easy to use for comparisons. Years ago an educator named Edgar Dale (Educational Media, 1960), often cited as the father of modern media in education, developed from his experience. Copyright © 2003 by Prentice Hall Computers: Tools for an Information Age Chapter 12 Spreadsheets and Business Graphics: Facts and Figures. FTCE 3.3 Identify and Apply Motivational Theories and Techniques That Enhance Student Learning Learning – Relatively permanent improvement in performance. 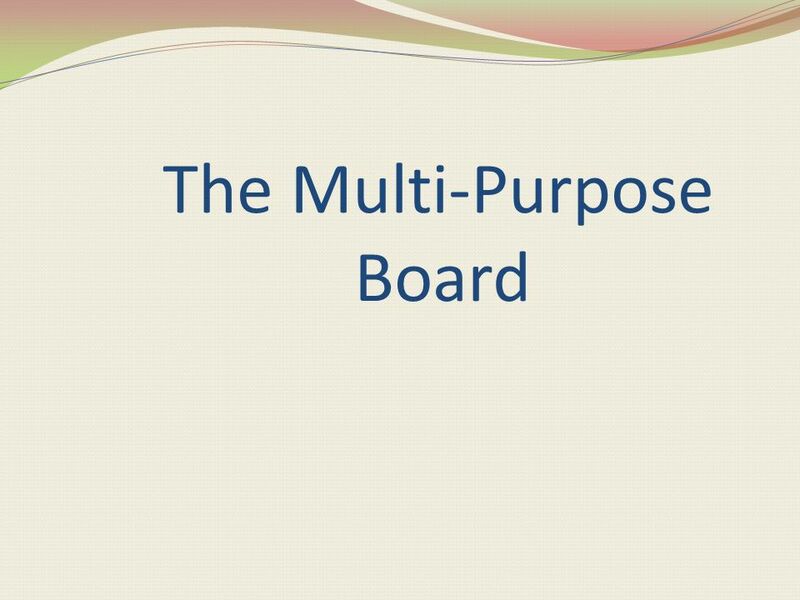 Using Multimedia to Engage Learners By: Kayla T, Heather S, Paula N, and Jenell B.